Has KangerTech brought the industry full circle with it’s upcoming tank system, The Pangu? 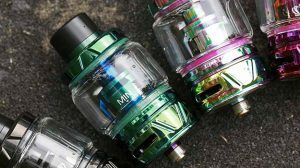 A first look has many vapers asking if this tank is attempting to bring back the cartomizer system or if it’s an innovative new design aimed at making our lives cleaner and simpler. Let’s take a couple of seconds to look at what the Pangu has to offer, bearing in mind that the information released by Kangertech at the moment is still rather sparse. At first glance, this 22mm tank could be mistaken for anyone of 6 that has been recently released, were it not for the name Pangu emblazoned across the base the front. 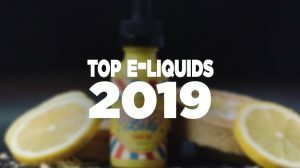 On closer inspection however, you can see that KangerTech’s new innovations actually set this apart from anything else we currently have on offer. Measuring in at 22mm by 35mm, without the drip tip and 510 connector, this Stainless Steel and Pyrex glass tank has a minimalist feel and appears to be following in the footsteps of the previous top fill tanks released by Kanger. Available in black, white, or silver, the monochromatic feel of each tank is, I believe, something that will appeal to the majority of vapers. Adjustable airflow control in the base will ensure that the Pangu can be adjusted to the preferred taste of any who try it, but the similarities to its predecessors ends there. 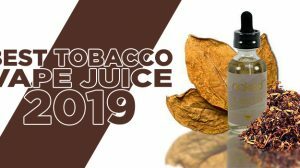 The center piece of the 3.5ml e-liquid reservoir is the idea that has captured our attention, and it’s sure to get you asking questions as well. 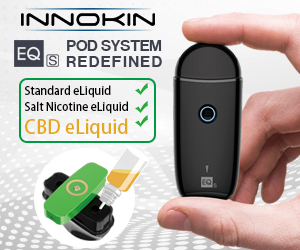 The disposable coil system used in this tank is reminiscent of the cartomizers that were popular a few years ago, not too long after the birth of vaping, making this essentially a cartomizer tank on steroids. Some old school vapers may be getting very excited right about now, but the majority will be scratching their heads. 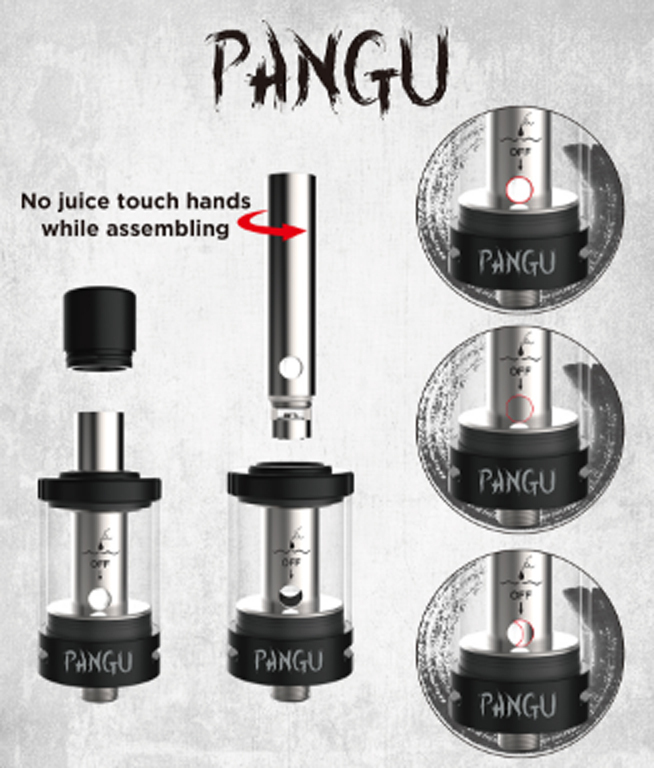 Kanger has introduced what they are calling the “Clean hands” coil replacement system, as PGOCC (PANGU coil) can be inserted and removed without having to take the tank apart. It’s as simple as removing the over-sized drip-tip and twisting the coil out of its housing. 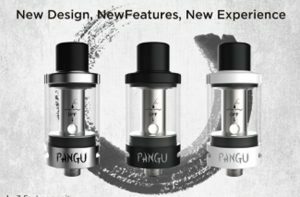 Not only is the coil replaceable from the top, but as it is a complete tube that runs through the chimney section of the tank, Kanger included a function to allow juice flow control in much the same way as coil replacement. PGOCC (NiCr) 1.5 Ohm is a NiChrome coil created for mouth to lung hits at a lower wattage. PGOCC (SUS316L) 0.5 Ohm is a Stainless Steel coil created for direct lung hits in wattage or temperature control. 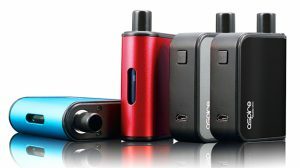 It’s capable of both high wattage hits for those who prefer small puffs or sub-ohm vaping with the 0.5Ω coil set up. Either way they are disposable and hopefully inexpensive (or if they are anything like the cartomizers some folks are hoping for, we have a hack for that). Easy top filling means that other than cleaning the tank out from time to time, you should never have to pull it apart. And, the condensation reclamation system means that, in theory, you should use less e-liquid. As we said at the beginning of the post, this is a first look at the tank. Until it becomes available, we can’t make any comments to its performance other than to say if it performs in the way Kanger told us, this may be a good addition to the family.